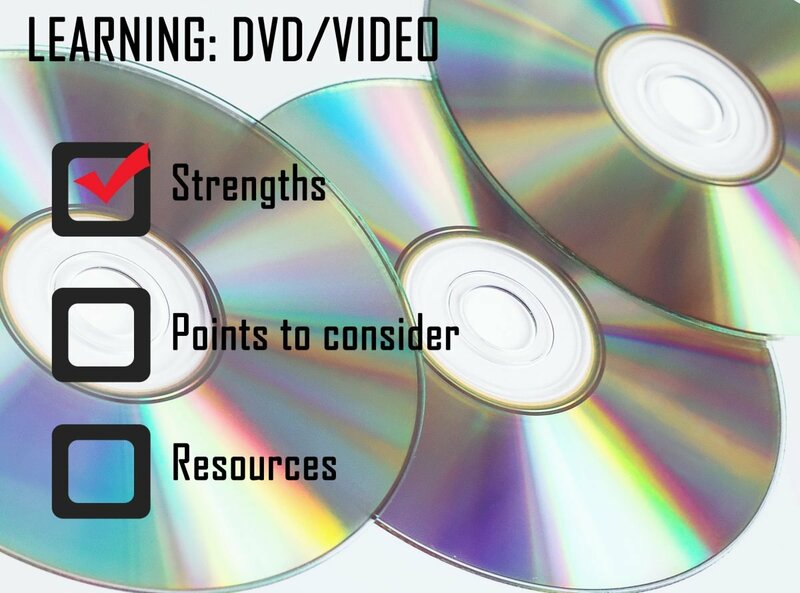 DVD or Video schooling can be used to supplement a single subject or as an entire curriculum. Some Math and Science textbooks have accompanying DVDs to explain concepts. Children can learn to use word processing and other office tools for assignments. There is a broad range of educational software to help teach Math, Phonics, Geography, or many other topics. Several language learning programs are available in DVD or video format, as well as various instrumental music programs. Historical films, YouTube videos, video storybooks or educational TV shows are other ways that people often supplement homeschool studies. Since many households have easy access to computers and television, using DVDs or videos in the homeschool has become very popular.